This is a hardy evergreen shrub with silvery leaves. From spring to summer, pinkish buds form followed by large white flowers. 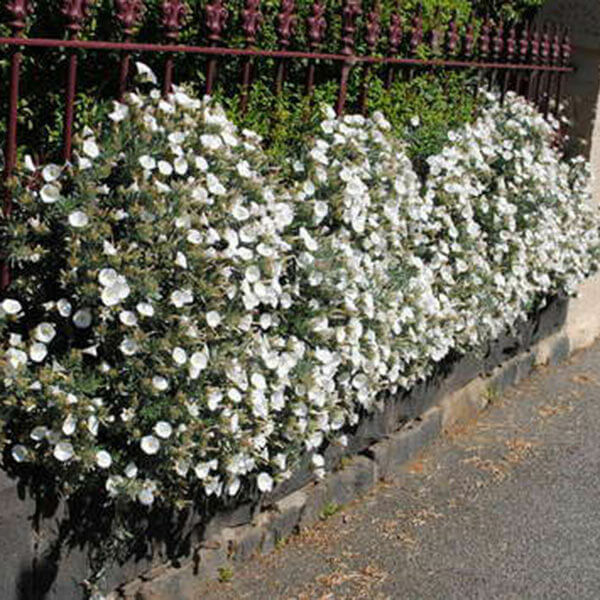 Good for part shade and tolerant of dry conditions, once established.